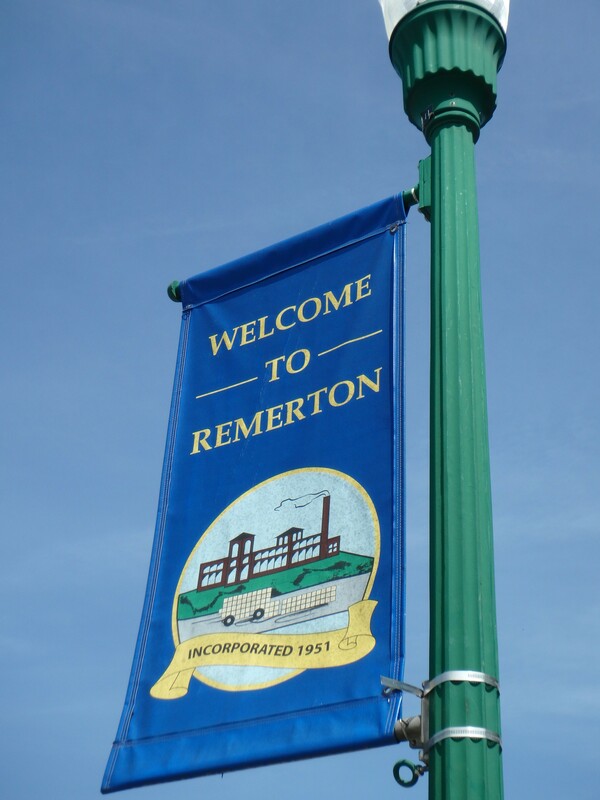 I met up with her at Remerton City Hall. She showed me around the new construction, which includes a second payment window for the busy days when water bills are due. It seems that everyone wears more than one hat on the city staff. This entry was posted in Community, Economy, Education, Food and Drink, Government, Planning, Remerton and tagged Baytree Road, Beanery, coffee, cotton mill, Education, Gretchen Quarterman, Jessica Freeman, jobs, Melody Lane, Poplar Street, professional, Remerton, restaurant, shop, smoke stack on April 10, 2016 by Gretchen Quarterman. What does “conversion of the Land Bank Authority” mean? What are they converting this Authority to? Or do they mean the Authority is voting on converting some real estate from non-taxable to taxable? Feb. 25: Land Bank Authority Meets. 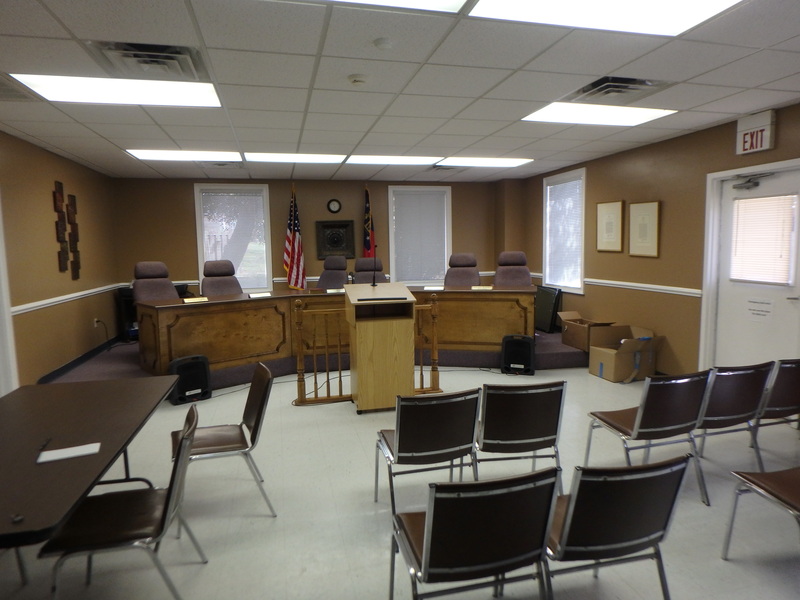 Members of the Valdosta-Lowndes County Land Bank Authority will hold a meeting on Wednesday, Feb. 25, at 9 a.m., in the Neighborhood Development Conference Room (Room 202, Valdosta City Hall Annex). This meeting is being held to vote on the conversion of the Land Bank Authority. The Land Bank Authority exists to foster the public purpose of returning property which is in a non-revenue generating, non-tax producing status to effective utilization status in order to provide housing, new industry and jobs for citizens. For information, call (229) 671-3617. 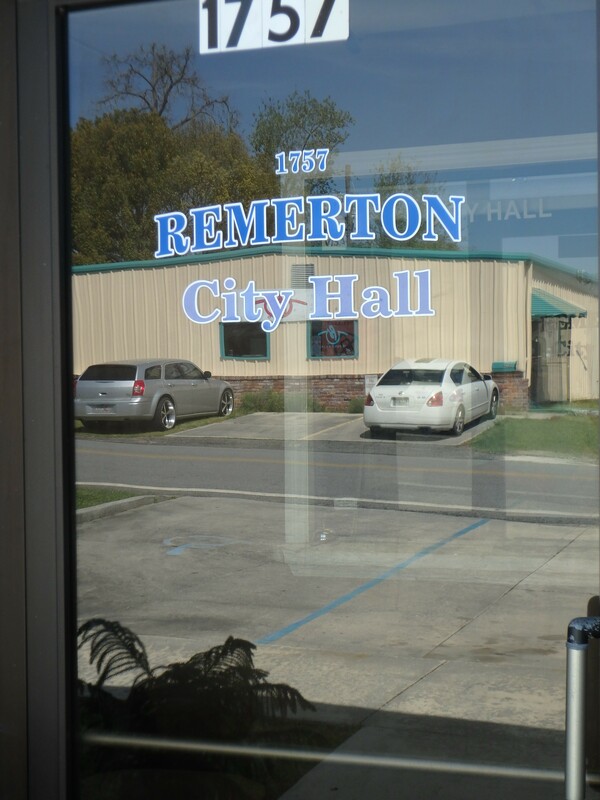 This entry was posted in Community, Economy, Georgia, Transparency, VLCLBA and tagged 25 February 2015, 300 N. Lee Street, Burke Sherwood, Community, conversion, Conversion of the Land Bank Authority, Economy, Frank Morman, Georgia, Gretchen Quarterman, housing, industry, jobs, Joyce Evans, LAKE, Lowndes Area Knowledge Exchange, Lowndes County, Neighborhood Development Conference Room (Room 202), non-revenue generating, Occasional Meeting, Robert Yost, Transparency, Valdosta, Valdosta City Hall Annex, VLCLBA on February 24, 2015 by John S. Quarterman. China, U.S., and Russia energy deals: bad news for Sabal Trail fracked methane pipeline? The U.S. and China made a historic deal on climate change this week. Here’s the good (it’s real, it’s huge, and it’s positive economically for both countries), the bad (nuclear is first on the list of those “clean energy” sources), and the ugly. Also this week China made a second huge natural gas deal with Russia: what does that mean to the current U.S. push for LNG exports, including the proposed Sabal Trail pipeline gouge through Georgia? Rebecca Leber, The New Republic, 12 November 2014, The World Has Waited for the U.S. and China to Take Action on Climate Change. They Just Did. This entry was posted in Air, Climate change, CO2, Coal, Economy, Florida, Georgia, LCBOE, Natural gas, Nuclear, Pipeline, Solar, Water, Wind, WWALS and tagged Air, China, Climate change, CO2, Coal, Dirty Dozen, Dougherty County, Economy, eminent domain, Florida, FPL, Georgia, Georgia Water Coalition, jobs, LAKE, land use, lawsuit, Lowndes Area Knowledge Exchange, Lowndes County, Michael Brune, natural gas, Nuclear, ordinance, pipeline, resolution, Russia, Sabal Trail Transmission, Siberia, Sierra Club, Solar, Spectra Energy, Suwannee County, Terrell County, Valdosta, Water, Wind, WWALS on November 14, 2014 by John S. Quarterman. 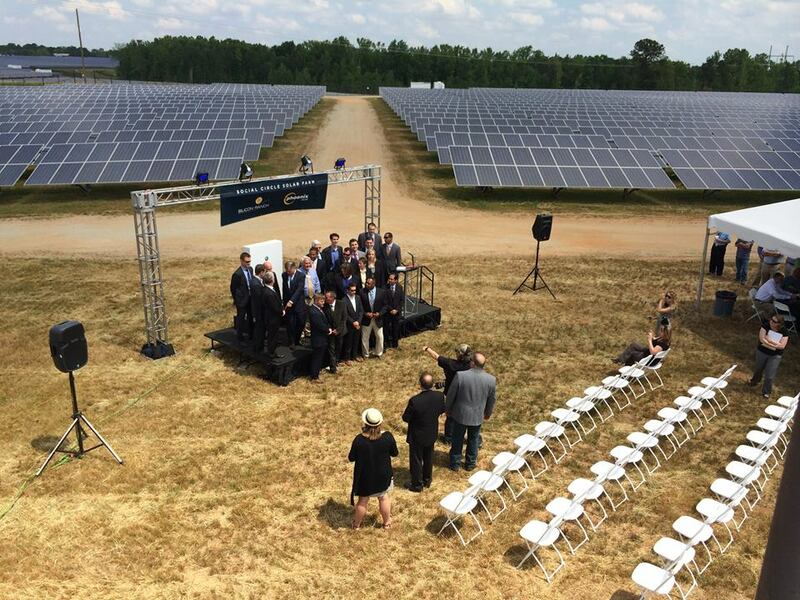 A ribbon cutting for 30+ MW of solar power in Social Circle, Georgia, with no media coverage, other than a Georgia Power docket update buried at GA PSC. Claudia Musleve Collier says she made this first quote from email to her, and wants it shared. Bryan Casey, with Greenavations Power sent me these photos of the recent [13 May 2014] ribbon cutting of their 38 MW solar project in middle Georgia[, Simon Solar in Social Circle]. PSC “Bubba” McDonald was present to flip the switch! This entry was posted in Economy, Georgia, Georgia Power, Renewable Energy, Solar and tagged Advanced Solar Initiative, ASI, Bryan Casey, Camilla, Claudia Musleve Collier, Economy, electricity, GA PSC, Georgia, Georgia Power, Georgia Solar Utilities, Greenavations, jobs, Knowledge Exchange, LAKE, Large Scale Solar program, Lowndes Area, Lowndes County, LSS, Meriwether County, Mitchell County, Renewable Energy, SDD, Silicon Ranch Corporation, Simon Solar Farm, Social Circle, Solar, Solar Design and Development, Steve Ivey, Valdosta, Walton County on June 10, 2014 by John S. Quarterman. Atlanta, GA — The Georgia Solar Energy Association Chairman Mark Bell said today that the tariff on solar installations proposed in the Georgia Power rate request now under consideration by the Public Service Commission is unfair to solar customers. The tariff, which will add roughly $22 a month to residential solar customers’ bills beginning in 2014, will have a significant “chilling effect” on the robust growth of solar development now under way in Georgia. Solar investment currently is providing jobs and new infrastructure throughout the state, including its rural areas where economic investment is badly needed. Solar energy is making Georgia farms more cost-effective and productive, and high-demand manufacturing more efficient. This entry was posted in Economy, energy conservation, energy efficiency, Georgia Power, Renewable Energy, Solar and tagged Economy, energy conservation, energy efficiency, Georgia, Georgia Power, GSEA, jobs, LAKE, Lowndes Area Knowledge Exchange, Lowndes County, Renewable Energy, Solar, standby charge, tariff, tax, Valdosta on October 23, 2013 by John S. Quarterman. Will the recent increase in solar requirements by GA PSC on Georgia Power produce any more solar projects in Valdosta? And what’s in the VLCIA annual report? Maybe a list of jobs created? Agenda, Tuesday July 16, 2013 5:30 p.m. This entry was posted in Economy, Government, Solar, VLCIA and tagged 16 July 2013, Allan Ricketts, Andrea Schruijer, annual report, Attorney, Chairman, CPA, Economy, Executive Director, Georgia, Government, J. Stephen Gupton, Jerry Jennett, jobs, John S. Quarterman, LAKE, Lowndes Area Knowledge Exchange, Lowndes County, Lu Williams, Mary Gooding, Norman Bennett, Operations Manager, Project Manager, Public Relations & Marketing Manager, Regular Meeting, Roy Copeland, S. Meghan Duke, Solar, Tom Call, Tom Davis, Valdosta, Valdosta-Lowndes County Industrial Authority, VLCIA on July 16, 2013 by John S. Quarterman. There’s still time to call in and make your voice heard, (800) 282-5813. The swing vote is the Commissioner for south Georgia, H. Doug Everett. Solar power may win over Georgia Power today. If Georgia Power says it needs something, it usually gets it. Over the years, state regulators have cleared the way for the utility to land new power plants, more transmission lines and rate increases, often without much heated debate. This entry was posted in Economy, Elections, GA PSC, Georgia Power, Renewable Energy, Solar and tagged Bubba McDonald, Doug Everett, Economy, Elections, GA PSC, Georgia, Georgia Power, jobs, LAKE, lines, Lowndes Area Knowledge Exchange, Lowndes County, Plants, Renewable Energy, Solar, Stan Wise, Valdosta on July 11, 2013 by John S. Quarterman. Basing a local economy on attracting retirees may not work so well anymore. Fortunately, there are plenty of things we can do here to provide jobs for our graduates and to attract non-retirees. This week, the U.S. Census Bureau issued 2012 population estimates showing that, for the first time ever, the rural population of America has suffered a measureable drop. This entry was posted in Agriculture, Economy, Education, Health Care, History, Renewable Energy, Solar and tagged Agriculture, Atlanta, Economy, Education, Georgia, graduates, Health Care, History, jobs, LAKE, Lowndes Area Knowledge Exchange, Lowndes County, population, Renewable Energy, retirees, rural, Solar, urban, Valdosta, young on June 17, 2013 by John S. Quarterman. The county government’s attempt to put a local business out of business is this 9:30 AM at the county palace this morning 14 June 2013. WALB’s earlier story said June 4th, but now it’s June 14th (today), because Lowndes County Attorney Walter Elliott is also an attorney for Turner County in the LOST case before the GA Supreme Court, and he was going to be in Atlanta arguing before the Supreme Court on June 4th. Funny how everything is done for the convenience of the county government, and not for its citizens. Maybe we should change that. This entry was posted in Economy, Government, Law, LOST, Lowndes County Commission, Solid Waste, Transparency, Trash and tagged accounting, Bill Slaughter, budget, Cary Scarborough, Crawford Powell, Deep South Sanitation, Economy, exclusive franchise, freedom, Georgia, Government, Gretchen Quarterman, jobs, LAKE, Law, LCC, LOST, Lowndes Area Knowledge Exchange, Lowndes County, Lowndes County Commission, monopoly, order, Religion, Richard Raines, Solid Waste, Supreme Court, Transparency, Trash, Valdosta, Walter Elliott on June 14, 2013 by John S. Quarterman.